The House on Thursday unanimously passed a resolution calling on special counsel Robert Mueller to release his final report to the public once it's out. 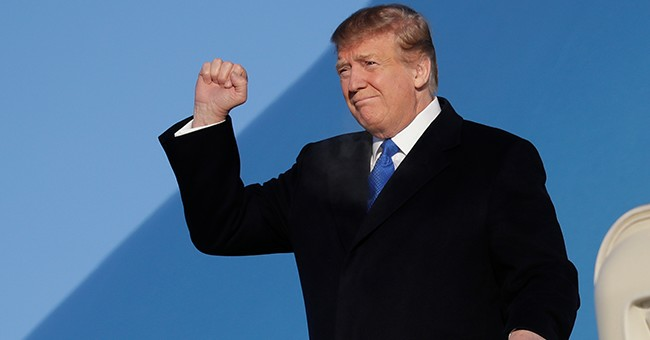 Lawmakers voted 420-0 in favor of the measure from House Judiciary Committee Chairman Jerrold Nadler, D-N.Y. Four Republicans voted "present" on the resolution...Democrats and Republicans have been pushing for the release of Mueller's report for different reasons. Democrats fear the report may show some wrongdoing by Trump that remains out of the public eye because of the Justice Department's policy of not indicting a sitting president...Republicans are out to make sure they understand exactly how Mueller operated in his investigation against Trump. I'd add that the GOP would also like to see the book closed on this saga as soon as possible, especially if Mueller doesn't turn up hard evidence of collusion or provable obstruction. Democrats seem to be lowering their expectations and shifting their goalposts on the Special Counsel report, so one wonders if they're now convinced that will underwhelm. I'll admit to being a bit surprised that the House was able to vote for anything without a single dissenting vote, given the polarized nature of the Russia matter. The president tweeted over the weekend that he encouraged the GOP to vote along with Democrats as part of the optics "game:"
- 50% now believe Trump a "witch hunt" target, including 54% of independents. Faith in Mueller falls. - Impeachment support slides to 28 percent. Amid signs that special counsel Robert Mueller's investigation into Russian election interference may be near its conclusion, a new USA TODAY/Suffolk University Poll finds that trust in Mueller has eroded and half of Americans now agree with President Trump's contention that he has been the victim of a "witch hunt." Support for the House of Representatives to seriously consider impeaching the president has dropped since last October by 10 percentage points, to 28 percent...Fifty percent say they agree with Trump's assertion that the special counsel's investigation is a "witch hunt" and that he has been subjected to more investigations than previous presidents because of politics; 47 percent disagree. Just 3 percent don't have an opinion. There is, unsurprisingly, a stark partisan divide on that question: 86 percent of Republicans but just 14 percent of Democrats say Trump is the victim of a "witch hunt." Among independents, 54 percent say he is; 42 percent say he isn't. Still, the president's success in persuading fully half of the electorate that he’s been subjected to unprecedented scrutiny is notable, says David Paleologos, director of the Suffolk Political Research Center. This survey may prove to be an outlier, and public opinion can shift rapidly based on factual developments, but the data is in keeping with the broader trend lines on Mueller (who has done nothing to erode my own trust, for what it's worth) and impeachment. I'll leave you with two thoughts: Concluding the Russia probe may be in everyone's best interests at this stage -- and perhaps Pelosi's firm rejection of impeachment wasn't just a shrewd move, but a nod to political necessity.